Francis Nolan (b. 1949) first studied flute with Atarah Ben-Tovim and then with Geoffrey Gilbert at the Royal Manchester College of Music. 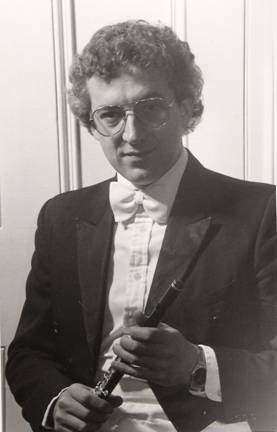 He was principal piccolo player with the Hallé 1968-1970 before moving to the BBC Symphony Orchestra (1970-73). He took up the position of principal piccolo with the London Symphony Orchestra in 1973 and also plays with Academy of St.Martin. He has appeared as soloist in such works as Vivaldi’s Piccolo Concerto and is Professor of Piccolo at The Guildhall School of Music.